nina's tweet. . Wallpaper and background images in the Ian Somerhalder e Nina Dobrev club tagged: nina dobrev ian somerhalder. LOL. 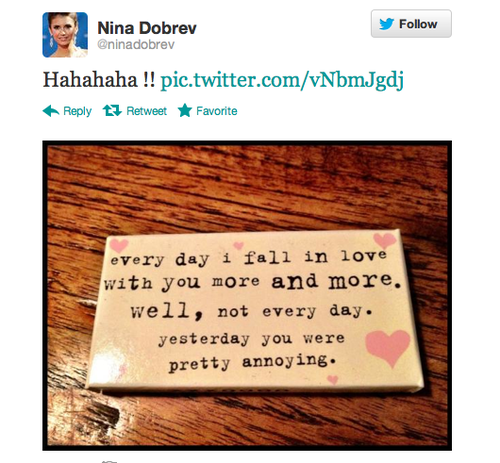 aww, i wonder if Ian got her that?